1. Fußball-Club Nürnberg Verein für Leibesübungen e. V., often called 1. FC Nürnberg (German pronunciation: [ʔɛf ˈtseː ˈnʏɐ̯nbɛɐ̯k]) or simply Nürnberg, is a German association football club in Nuremberg, Bavaria, who currently compete in the Bundesliga. Founded in 1900, the club initially competed in the Southern German championship, winning their first title in 1916. Their first German championship was won in 1920. Before the inauguration of the Bundesliga in 1963, 1.FCN won a further 11 regional championships, including the Oberliga Süd formed in 1945, and were German champions another seven times. The club has won the Bundesliga once and the DFB-Pokal four times. Since 1963, the club have played their home games at the Max-Morlock-Stadion in Nuremberg. Today's club has sections for boxing, handball, hockey, rollerblading and ice skating, swimming, skiing and tennis. The 1922 final was contested by Nürnberg and Hamburger SV but never reached a conclusion on the pitch. The match was called on account of darkness after three hours and ten minutes of play, drawn at 2–2. The re-match also went into extra time, and in an era that did not allow for substitutions, that game was called at 1–1 when Nürnberg was reduced to just seven players and the referee ruled incorrectly the club could not continue. Considerable wrangling ensued over the decision. The German Football Association (DFB) awarded the win to Hamburger SV under the condition that they renounce the title in the name of "good sportsmanship" – which the side grudgingly did. Ultimately, the Viktoria trophy was not officially presented that year. 1. FCN's dominance was already beginning to fade when they captured their final trophy of the era in 1927 as the game began to evolve into a more quickly paced contest which did not suit their slower, more deliberate approach. While they continued to field strong sides, other clubs rose to the forefront of German football. In 1934, they lost in the final to Schalke 04, a club that would go on to become the strongest side in the era of football under the Third Reich. Nürnberg would capture national titles just before and after World War II in 1936 and 1948 in the first post-war national final, and would also take the Tschammerpokal, the forerunner of today's DFB-Pokal, in 1935 and 1939. The post-war period began with the club being integrated in the Oberliga Süd, one of the five top divisions in West-Germany at the time. Nürnberg managed to win this league six times until 1963, winning the national championship in 1948. In 1961, 1. FCN captured their eighth national title and appeared in a losing effort in the following year's final. Some consolation was to be had in the team capturing its second DFB-Pokal in 1962. The club's strong play made it an obvious choice to be amongst the 16 teams selected to participate in the Bundesliga, Germany's new professional football league, formed in 1963. Der Club played as a mid-table side through the league's early years until putting on a dominating performance in 1968 in which it sat atop the league table from the fifth week of play on to the end of the season, en route to its first Bundesliga title. It went on to become the first club to be relegated from the Bundesliga as the reigning champions. This was a result of Max Merkel's decision to remove his championship winning team of veterans – believing that they were too old – in favour of a dozen newcomers. It would take the club nine years to recover and return from an exile in the second tier, first the Regionalliga Süd, then the 2. Bundesliga Süd, that included several failed efforts in the promotion rounds. 1. FCN returned to the Bundesliga for a year in 1978, but played to a 17th-place finish and were relegated again. The club immediately played its way back to the top flight, but since then its Bundesliga performances have been stumbling ones, characterized by finishes well down the league table and occasional relegation for a season or two. The side's best recent result was a fifth-place finish in 1988. In the mid-1990s, Nürnberg had financial problems that led to their being penalized six points in the 1995–96 season while playing in the 2. Bundesliga. The club was relegated to the third division as a consequence. Improved management saw the club clawing back and return to the top flight eventually. In 1999, however, 1. FCN suffered what was arguably the worst meltdown in Bundesliga history. Going into the last game of the season, the club sat in 12th place, three points and five goals ahead of Eintracht Frankfurt, which was sitting in 16th place and seemingly headed to relegation. Nürnberg was closing out the season with what looked to be an easy home game against SC Freiburg, which was also facing relegation. Frankfurt was up against 1. FC Kaiserslautern, last season's champions which were in a fight for a UEFA Champions League spot. Therefore, FCN had already begun soliciting season tickets for next Bundesliga season in a letter to current season ticket holders within celebrating successfully avoiding relegation. The stage was set for an improbable outcome. Nürnberg lost 1–2 with Frank Baumann missing a chance to score in the last minute. Every other 1. FCN rival won, including Frankfurt, which routed Kaiserslautern 5–1 with three late tallies – this put the side ahead on goals scored and sent 1. FCN crashing to 16th place and into a shock relegation. 1. FCN was not relegated because they had fewer points than Frankfurt, nor because of a lower goal differential, but on the third tie-breaker – fewer goals scored. 1. FCN rebounded and played in the Bundesliga but still found itself flirting with relegation from season to season. However, it had comfortably avoided relegation in the 2005–06 season, finishing eighth in the Bundesliga. After several years of consolidation, Nürnberg seemed back as a force to reckon with in Bundesliga football. Manager Martin Bader's professional and sometimes even spectacular work till spring 2007 (the signing of former Ajax captain and Czech international Tomáš Galásek, for example, was greeted with enthusiasm), as well head coach Hans Meyer's tactically modern understanding of football, helped Nürnberg to its most successful play in almost 40 years. In May 2007, the cut for the UEFA Cup was sure and after the triumph over Eintracht Frankfurt in the DFB-Pokal, the Club was in the final of that tournament for the first time since 1982. On 26 May, the Club won this final against VfB Stuttgart in extra time 3–2, winning the DFB-Pokal again 45 years after the last victory. In the first round of 2007–08, however, the team could convince no more in Bundesliga. As the team had ended up second in 2007–08 UEFA Cup#Group A in front of later champion Zenit Saint Petersburg after defeating Rapid București in UEFA Cup 2007–08#First round, head coach Hans Meyer was allowed to restructure the team, for example by buying Czech international striker Jan Koller from Monaco. In the consequence of no improvement, Meyer was replaced by Thomas von Heesen after two legs in second round. The latter one did not do much better, and so 1. FCN was relegated after finishing 16th after losing a 2–0 home match against Schalke 04 on the final matchday. After not meeting the expectations of dominating the 2. Bundesliga, Von Heesen resigned in August and was replaced by his assistant coach, Michael Oenning. After a slow start, Oenning was able to guide Nürnberg to a third-place finish and a playoff with 16th placed Energie Cottbus. Nürnberg won the playoff 5–0 on aggregate, rejoining the Bundesliga. The club was demoted again, however, after the 2013–14 season, finishing 17th with a final matchday loss to Schalke 04. The club finished third in the 2015–16 season and qualified for the promotion play-off to the Bundesliga, but lost on aggregate to Eintracht Frankfurt to remain in the 2. Bundesliga for 2016–17. The club went on to finish 2nd in 2017-2018 season, securing a promotion spot into the Bundesliga with an away win against SV Sandhausen. SpVgg Greuther Fürth is 1. FCN's longest standing local rival. The rivalry dates back to the early days of German football when, at times, those two clubs dominated the national championship. The clubs have played 258 matches against one another, the most in German professional football. In 1921, the Germany national team consisted only of players from Nürnberg and Fürth for a match against the Netherlands in Amsterdam. The players travelled in the same train, but with the Nürnberg players in a carriage at the front of the train and those from Fürth in a carriage at the rear, while team manager Georg B. Blaschke sat in the middle. A Fürth player scored the first goal of the match but was only congratulated by Fürth players. Allegedly, Hans Sutor, a former Fürth player, was forced to leave the team when he married a woman from Nuremberg. He was later signed by 1. FC Nürnberg and was in the team that eventually won three national championships. Both clubs played together in the Bundesliga in 2012–13. The 1. 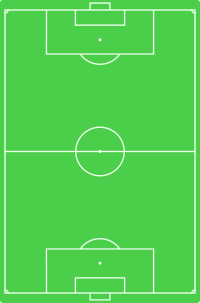 FC Nürnberg II (or 1. FC Nürnberg Amateure) qualified for the Regionalliga Süd on the strength of a third place in the Bayernliga (IV) in 2007–08. The team had been playing in the Bayernlig since 1998, finishing runners-up three times in those years. When not playing in the Bayernlig, the team used to belong to the Landesliga Bayern-Mitte. Nowadays, it plays in the tier four Regionalliga Bayern. the highest level of football in Germany; the second highest; the third highest. "Der Club" plays in the communally-owned Max-Morlock-Stadion. It has been the club's home since 1963, and currently has a capacity of 50,000 spectators following the stadium's most recent expansion during the winter break of the 2009–10 season. The club previously played its matches at the Zabo (an abbreviation of Zerzabelshof, the district in which the ground was located). The Frankenstadion since 2012 bears the commercial name "Grundig Stadion" under an arrangement with a local company. The majority of the fans was in favour of renaming it after club legend Max Morlock. Morlock's name was finally used in 2017. For recent transfers, see List of German football transfers winter 2017–18 and List of German football transfers summer 2017. Outstanding coaches of the earlier years include Izidor "Dori" Kürschner (1921, 1922), Fred Spiksley (1913, 1920s), former player Alfred Schaffer (1930s), Dr. Karl Michalke (1930s), Alwin "Alv" Riemke (1940s–1950s) and former player Hans "Bumbes" Schmidt (1940s, 1950s), who notably did not win a single of his four German Championship titles as coach with Nürnberg, but three of them with the long-standing main rivals Schalke 04. He was also four times champion as player, thereof three times with the Club, and once with the earlier archrival SpVgg Greuther Fürth. ^ a b "Nürnberg struggling to stay in the Bundesliga club". Guardian. 12 May 2008. Retrieved 18 September 2010. ^ "Nuremberg are Relegated". New Straits Times. 31 May 1999. Retrieved 18 September 2010. ^ "From "Municipal Stadium" to the easyCredit Stadium". Archived from the original on 23 November 2010. Retrieved 18 September 2010. ^ "1. FC Nürnberg – Profis". 1. FC Nürnberg. Archived from the original on 9 April 2015. Retrieved 2 September 2016. ^ "1. FC Nürnberg – Squad". bundesliga.com. Archived from the original on 9 April 2015. Retrieved 3 April 2015. ^ "Club ehrt Jahrhundert(+10)elf" (in German). 23 July 2010. Archived from the original on 2 August 2010. Retrieved 18 September 2010.